Popstar Sarah Geronimo will reunite with ASAP 2012 co-host Enchong Dee this Sunday (August 12) in her solo musical variety show Sarah G. Live! 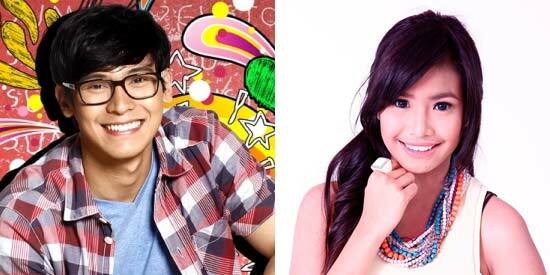 Enchong, who is part of the barkada movie The Reunion, will be Sarah’s special guest co-host. Also, watch out for the collaboration of Sarah and OPM legend Freddie Aguilar with the band Watawat; and the smash up dance number of Pinoy Big Brother Teen Edition 4 love teams Myrtle Sarrosa and Yves Flores, and Ryan Boyce and Karen Reyes. Meanwhile, laugh out loud with comedians K Brosas, Cacai Bautista, Mahal, and Ate Gay as they join the Popstar on the SGL centerstage. Still with Sarah in the upcoming episode are Gab Valenciano, co-host Luis Manzano, musical director Louie Ocampo, choreographer Georcelle Dapat-Sy, G-Force, and director Erick Salud. Sarah G. Live! airs 8:15pm, after Rated K on ABS-CBN.